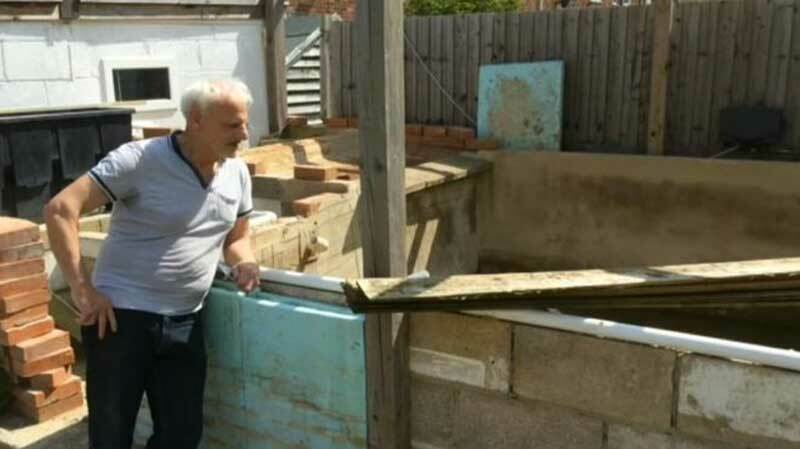 A man who built a fish pond in his back garden claims he has been told to remove it in case a trespasser falls in. 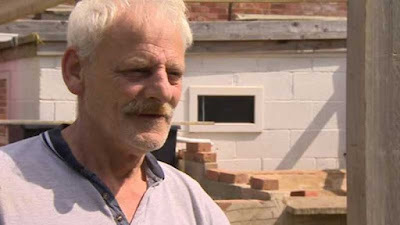 Kevin Sheehan said his local housing association told him his property must be "safe for everyone" including uninvited guests. Koi carp enthusiast Mr Sheehan, of Abingdon, Oxfordshire, has vowed to keep the water feature. Sovereign Housing said it is "discussing" the pond's future. It also said Mr Sheehan had not asked for permission to build the "very large" structure, which houses koi carp, fantails and goldfish. But the defiant 62-year-old has vowed to keep the pool regardless of what Sovereign say. He said: "Why should I give in? I lead my life the way other people do, I don't tell people 'you can't do that'." A spokesman for Sovereign Housing said: "This is not about burglars, this is about making sure our homes are safe places for our residents and any visitors to the property." He added: "We're also liable if someone does trespass on the property." There's a short video here. He's built this structure without permission from his lanlord or planning permission and he thinks he's the victim? Local housing association to me means a bunch of old people with f**kall mandate. You know those crazy buggers that have an aneurism if someone paint their mailbox in the wrong shade of what they decided. I think the issue is more that he's permanently modified a building he doesn't own. 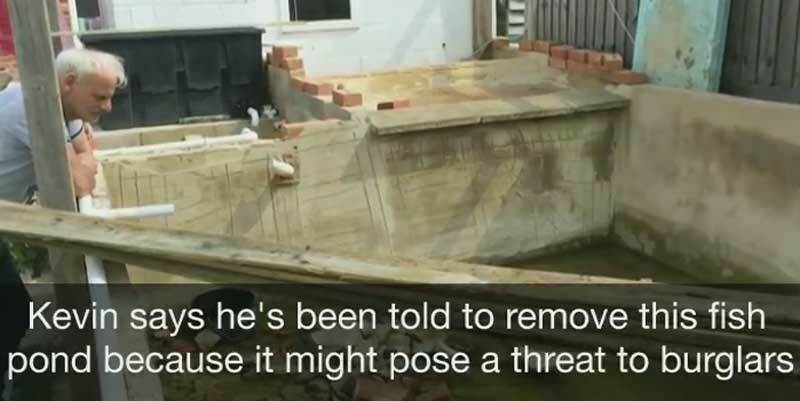 Had he asked "Can I build a fish pond"? The housing association would likely have said yes and then been horrified when they discovered how big it was. However, by that point, too late! You said yes. The article is far from clear about who owns the property. But if a local housing association is like an HOA in the States, they do indeed require that you ask permission to build anything on your own property. Never buy a house with an HOA. In the UK housing association properties are owned by the association and are rented out, Miss C.
That is unless the householder has bought the property under recently introduced government legislation, in which case the association have no say over what happens to the property any more.